Let's just call ourselves: The Friends of Walt. The Camerados y Cameradas. Whoever you are, I fear you are walking the walk of dreams…. Your true soul and body appear before me…. Who ever you are, now I place my hand upon you that you be my poem, I whisper with my lips close to your ear, I have loved many women and men, but I love none better than you. I will leave all and come and make the hymns of you, None has understood you, but I understand you, None has done justice to you, you have not done justice to yourself. None but has found you imperfect, I only find no imperfection in you None but would subordinate you, I am only he who will never consent to subordinate you. I am he who places over you, no master, owner, better, God, beyond what waits intrinsically in yourself. I give nothing to any one except I give the like carefully to you. I sing the songs of glory of none, not God, sooner than I sing the songs of the glory of you. Re-Imagining Unitarian Universalism, Worship: Another Case Study. The Reverend Dr. Victoria Weinstein spoke of the purpose of worship in the service at the end of her candidating week at Swampscott-Greater Lynn, in the Commonwealth. Go and watch the video. It's only about 13 minutes long. Like Kent Saleska's sermon in the last case study, it is artful. The metaphor of birthing is right on the money for a mother's day sermon, and for a sermon at the start of a ministry, and for the process of being changed irrevocably by the new, for which you are not ready. Her point, however, was that the purpose of church was to give us a context in which we can practice and develop competencies in compassion, solidarity, courage, intellectual rigor, etc. And she placed herself squarely in the midst of the shift that is going on in Unitarian Universalism right now. The Rev. Kent Saleska sent me a copy of a sermon about worship to read. You should read it, too. It is here. The words that caught my attention are near the end of the sermon. That's $1.73 Trillion with a "T". That is the amount of profits that American companies have accumulated from their offshore operations and tax havens, that they are unwilling to repatriate to the US, because they don't want to pay the corporate income taxes on it. This is not a post about tax policy. This is a post about the wealth of the country, who creates it, who owns it and who decides where it will be invested to create more wealth. 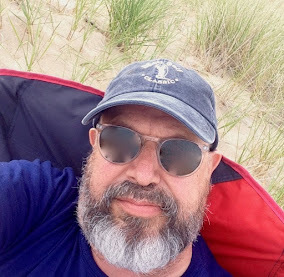 I know that I have been in the weeds for the last four posts -- trying to explain the big ideas of sacred secularism, the Holy Spirit Defender and Kenosis. Those ideas are not the core of a re-imagined Unitarian Universalism. They are part of my journey, but not our journey. Those ideas helped me get out of the box that UU Christianity had taken me. UU Christianity had defined itself over and against mainstream UUism for so long that it was no longer really in the internal conversation about UUism. As a UU Christian, I needed to come to a new understanding of Unitarian Universalism, one that was not based in mimetic rivalry. Girard and Cupitt helped me re-imagine UUism for me as an authentic and creative response to the main trends in Christianity in the 19th and 20th century. And because it was a creative and authentic response to the religious trends of the past, it has the potential to continue to be an authentic and creative expression of religion in the 21st century. I think that the UUA's efforts to become an anti-racist, anti-oppressive and multi-cultural movement is crucial to imagining a new Unitarian Universalism. Unitarian Universalism can exist in multiple and diverse cultural settings. I knew that there were Unitarians in India as a child. And we all learned of the Transylvanian Unitarians more recently, after the Ceausescu regime was overthrown in Romania. But somehow we thought that in the United States, Unitarian Universalism was inherently WASPish, New England-flavored and carrying all the cultural markers of the intellectual middle-classes. But we were challenged, mostly by UU's of color, to imagine that there could be an African American urban Unitarian Universalism, or Spanish speaking UUism, or a country-western UUism. There could be a Brooklyn hipst UUism and a punk UUism. Just because we didn't see these things didn't mean that they were impossible. 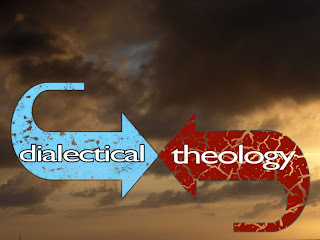 Part 1, in which I describe becoming disenchanted with the theory that providing "religious community" was the purpose of Unitarian Universalism. "Religious Community" did not answer the question, "how does Unitarian Universalism change a person?". There are those who argue that they don't want to be changed, or that asking the question implies a judgement against who they are right now. You know, that's OK. Each of us has those seasons in their life. But a religion still needs a vision of the transformation it is working in adherents, because there are other seasons in life. Like everybody of my era, I started thinking about Unitarian Universalism by thinking about the problem of how to define what we believe. The basic problem of UU identity. And like most of my generation, I adopted "the covenant, not creed" answer to that problem. That quote by John Wolf - "I am not sure that I believe in God, but I sure believe in the church" was important to me. That led to the belief that the congregation was the place of definition of Unitarian Universalism. With that, congregational polity became the "thread that you follow", to use William Stafford's metaphor, through the history. First of all, I am inspired by the Deuteronomist historians. At a time when the old ways of the ancient Hebrews had come to naught -- their kingdom defeated, the Temple fallen, their religious and political leaders taken off into exile in Babylon, they re-imagined their relationship with G-d. They re-thought their earthly Kingdom given to them by G-d, and they re-imagined it as a Kingdom in covenant with God, and conditioned on Israel's faithfulness. But that faithfulness was not just at the level of the state, but at the level of the person, as well. What we need is a world that operates by the values of liberality: openness, reverence, honesty, humility, gratitude and generosity, self-possession, solidarity. We need a world where people live honestly and lovingly in a mutual atmosphere of respect and solidarity. We have to find, and inspire and activate the people who are willing now to live into the future -- who are willing to be the change that they want to see. Those people are everywhere, in every city and town, in every ethnic and cultural group, of every religion, of every economic and social class. They are men and women and both and neither. They are gay and straight and all kinds of queer. They are already living into a better future for us all, leaving aside the values of the grim and indifferent world that seems to be dominant now, but is dangerous and doomed. But they need inspiration and support. I have been arguing that UU's ought to de-emphasize our "principles" as the basis of our moral and ethical work, and turn instead to promoting a set of virtues that make up liberality, or liberalism, or liberal religion. I think that we ought to state explicitly that the purpose of our common religious life is to promote reverence, humility, self-possession, openness, gratitude, solidarity, and honesty as personal and public virtues. I don't want to make them a code, so you may have a slightly different list, or different words, but you get the idea, I hope. Our worship are public and inclusive rituals that inspire us to recommit to these virtues in our daily lives. Our congregations are covenanted communities for the purpose of mutual inspiration of ourselves and others to make these virtues the defining signs of our character. An excerpt from the sermon today -- delivered at the Greater Lansing UU Church. I think that there are two different ways, probably many more, to approach morality. I think of one path as being principle based. The other virtue based. A principle based moralist starts from basic principles and then applies to the world and its problems. We understand this because, after all, Unitarian Universalism has for the last 20-30 years organized itself around seven principles, which are principles for action -- moral guideposts. They make the first "whereas" statement in our moral resolution making process. Take our first principle : we affirm the inherent worth and dignity of each person. "Whereas, every person has inherent worth and dignity, and "Whereas dignity for a person includes a decent burial after they died and Whereas Tamerlan Tsarnaev is a dead person Therefore Tamerlan Tsarnaev should be accorded a decent burial."